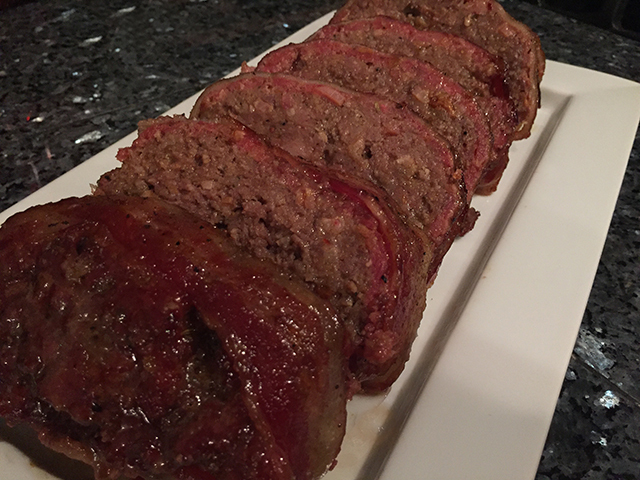 If you’re a fan of meaty meatloaf, look no further. 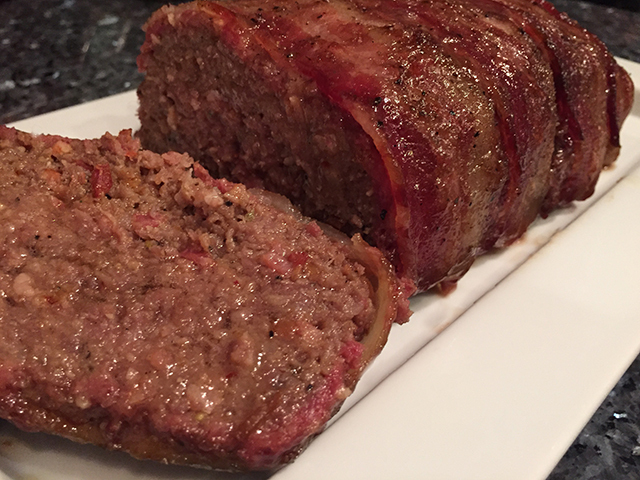 This Bacon Lover’s Meatloaf is packed full of ground beef, pork sausage and of course a full pound of bacon. Savory and simple this will satisfy any carnivore appetite. Start by cooking 5 slices of bacon until crispy, chop and let cool. 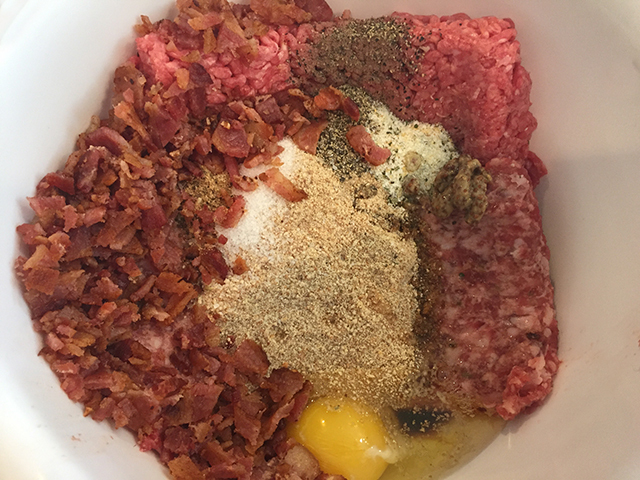 Next combine all other ingredients into a large bowl, including the chopped bacon once cool and mix well. 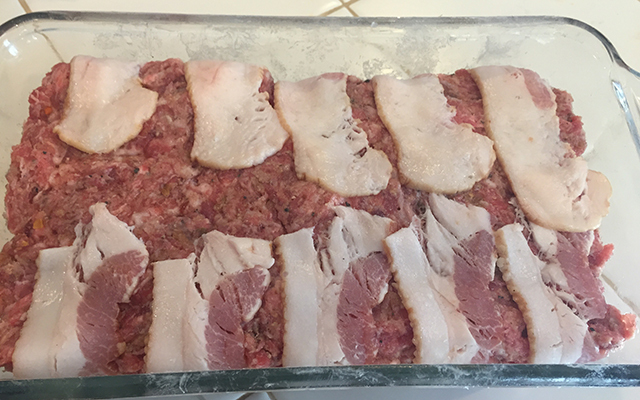 Then lay the other uncooked bacon across the bottom loaf pan and top with the meatloaf mixture. Place in the refrigerator and set your grill to 275. When your grill gets up to temperture take your meatloaf out from the refrigerator and remove it from pan by flipping it over onto a wire and gently releasing the edges. 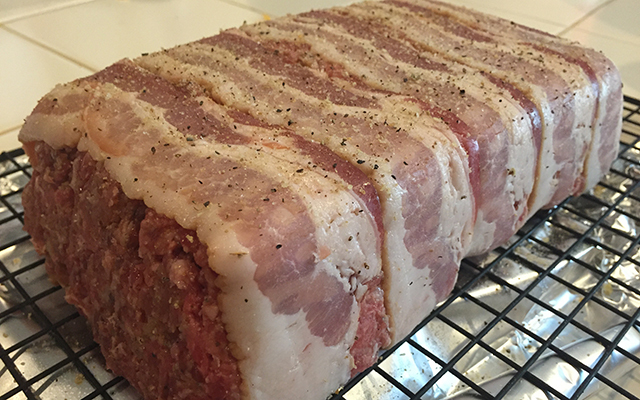 Place in the meatloaf on the wire rack in your grill and smoke for 2 hours or until the internal temperature hits 165f. For an extra boost of flavor baste with your favorite BBQ sauce during the last 10 min. Add some mashed potatoes and enjoy!